I can’t believe how lucky I was for this girl to walk through the door and want to work here! She is so amazingly talented. She’s the girl that can just bust out a dinosaur like it’s nothing and be like – Rawr. Here we meet Aspen, doing what she does best. Delicate hands and an eye for design! 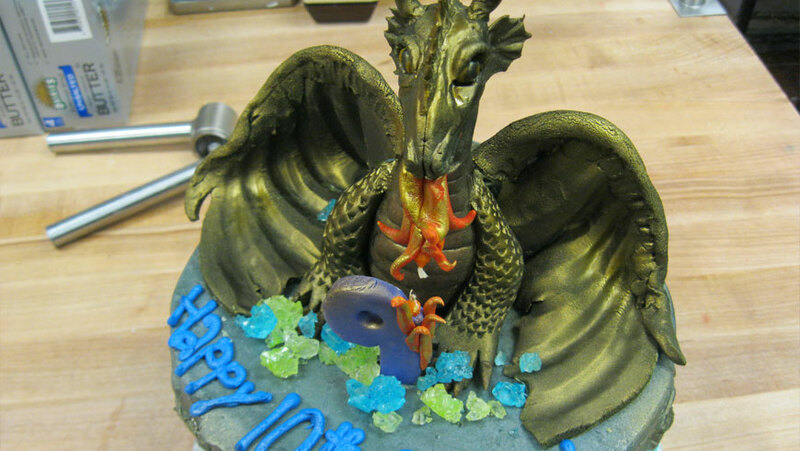 Check out this amazing dragon themed birthday cake! 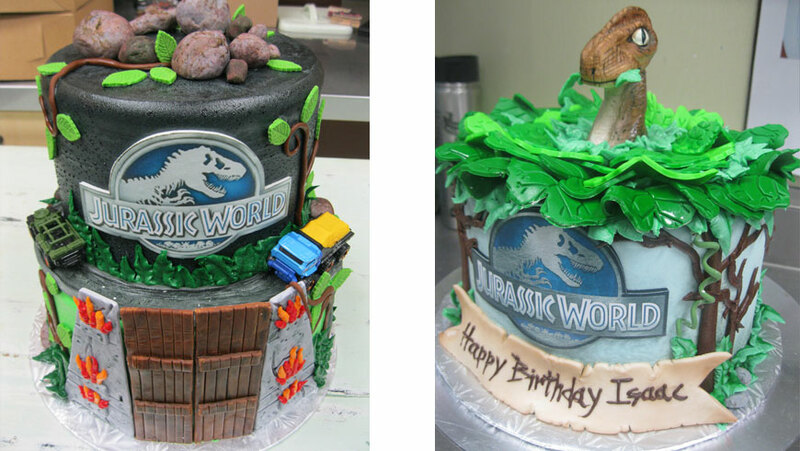 Two amazing Jurassic World cakes! 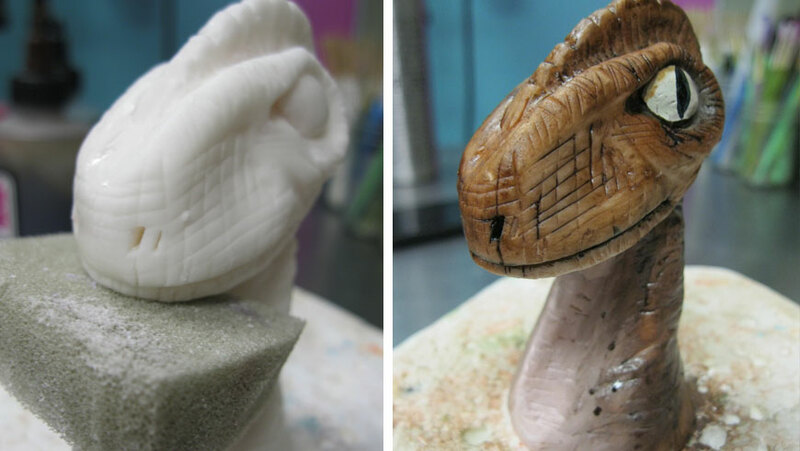 The detail that Aspen puts into her cakes is quite amazing, wouldn't you agree? 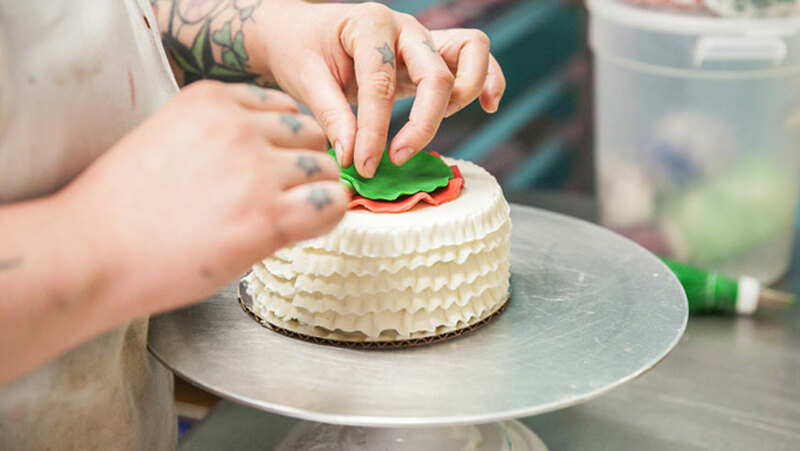 We all love Aspen here – She’s the sweetest and is just the best at anything fondant! Our bakery specializes in custom cake, cupcake, cookie, and wedding cake orders. 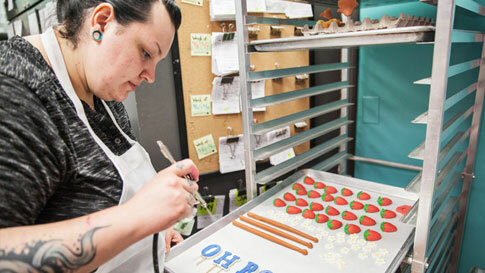 Each member of our staff plays an essential role in making your delicious ideas come to life. 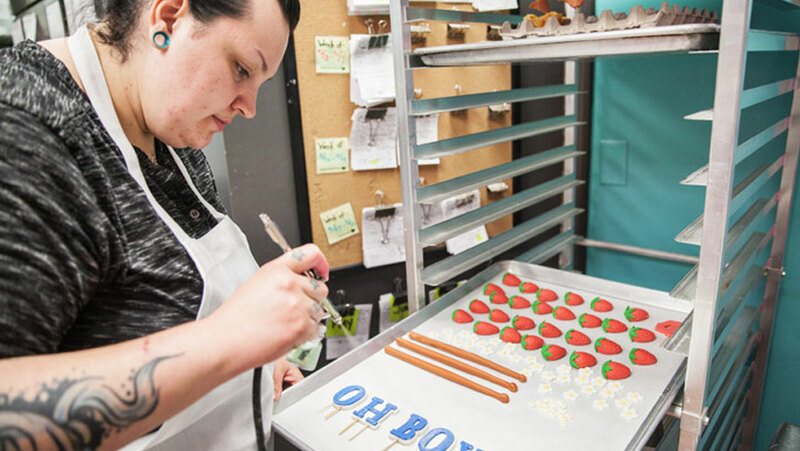 From design to decorating our attention to detail will exceed your expectations and be the icing on your cake, making your special event shine. Whether you need unique cupcakes, creative cookies, a stunning cake, or a special holiday order Lovely Layers Cakery has you covered. 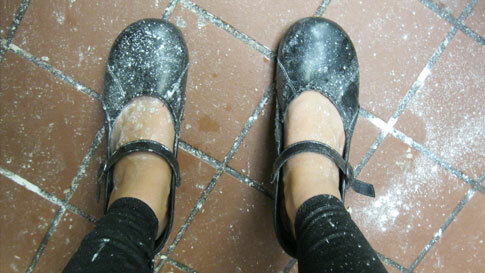 Come in for a cup of Peet's Coffee and a look around our bakery. We promise you’ll love us.